Please sign up here for all classes which are taught in the Fire Department Training room. If you are on the NMSU main campus, you can make a request for a customized class but you must have a minimum of 20 participants. Please call our office to coordinate the class at 575.646.2519. 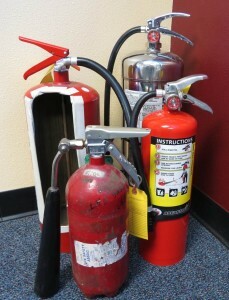 Please note: fire extinguisher replacement, inspections or services are now managed by the F&S AIM Work Order Desk.